CCTV (Closed Circuit TV) uses one or more video cameras to transmit video and sometimes audio images to a monitor, set of monitors. The difference between CCTV and standard TV is that standard TV openly broadcasts signals to the public. CCTV is not openly transmitted to the public. CCTV uses either wireless or wired transmission to send the broadcast from the video cameras to the monitor(s) or recording device. Most CCTV systems are used for surveillance, which can include security monitoring or safety monitoring. CCTV systems have become extremely popular over the last few decades as the technology has improved and become more affordable. 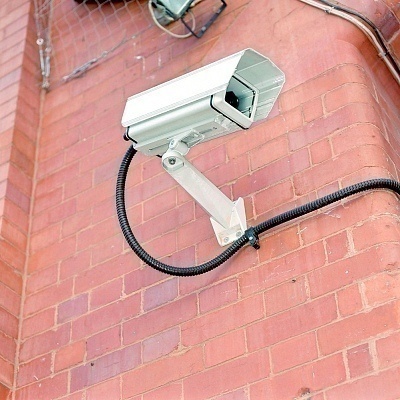 The majority of CCTV cameras in use today are usually for surveillance and security purposes. CCTV systems can be found in almost every bank, casino, mall, and large department store. In fact, CCTV systems have become so affordable, most smaller mom and pop stores also have CCTV systems in them for security purposes. Fixed cable connection means that the camera is physically connected to the monitor or recording device via a cable. Coaxial cables that are similar to normal home TV cables are usually used. Lengths come in 25, 35, 50, 100, or 500 feet. As the distance increases, signal quality decreases. For distances longer than 100 or 200 feet, purchase higher quality coaxial cables such as RG59 coaxial cable for distances up to 600 feet and for distances more than 600 feet, but less than 2,000 feet, purchase CAT5 cable. There are two types of DVRs (Digital Video Recorders). They are either stand alone devices or hard drives that are connected to a computer system. The amount of digital images captured on a DVR is determined by a few factors including the frames per second recorded, the amount of cameras hooked up to the DVR device, the resolution that the DVR saves the images at, and the video compression used.